BOOST Technologies provides comprehensive end-to-end sales and marketing solutions for the distribution of portable back-up battery and jump starter systems. Our mission is to delight our customers with solutions that are both innovative, deliver real value and making their life more convenient. With the massive increase and demand of smartphone, portable and USB devices with rechargeable batteries, there is an avid need for power. 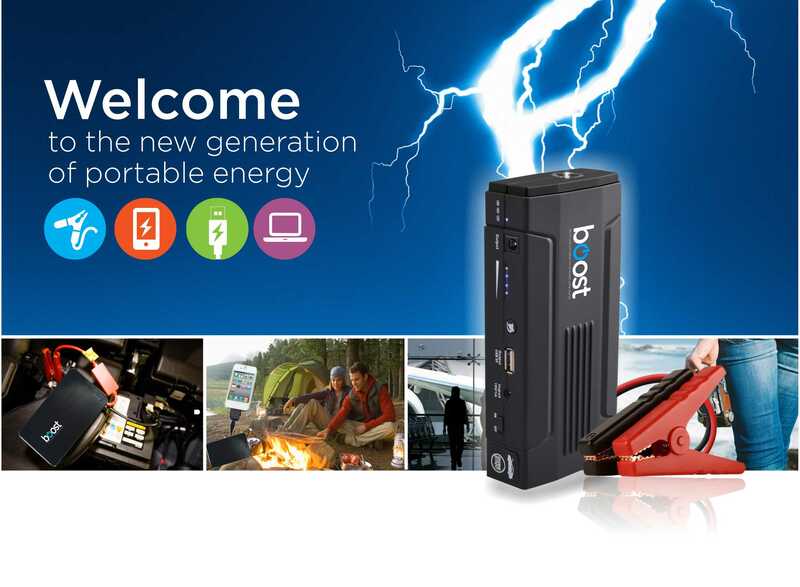 Portable power is one of the fastest growing categories in the consumer electronics market globally. The Portable Battery Pack Market (2013-2020) oﬀers huge potential opportunity! The portable battery pack market is expected to grow at a CAGR of 17.53% in the forecast period (2014-2020). The lithium batteries have emerged as the preferred choice for the consumer electronic products such as laptops, mobile phones, M P 3 p l a y e r s , t a b l e t s , s m a r t p h o n e s a n d o t h e r portable devices.